Your kitchen is incomplete without a refrigerator. It used to be a luxury few years back, but now it has become a basic necessity. Apart from storing and retaining the freshness of fruits and vegetables, it also preserves the nutrients in the food. 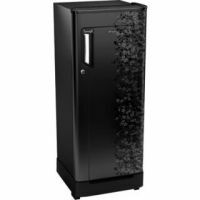 You can find a variety of refrigerator deals on dealscorner.in. We have a large collection of products from different stores and brands on a single platform to match your requirements and budget. People used large icebox to store their food and groceries years ago, but it has been replaced with the latest technology refrigerators. With different types of models and features in each refrigerators, many people get confused with the models. There are a few notable points to be considered while choosing the refrigerators like storage capacity of the refrigerator electricity consumption, outer and inner layout of the refrigerator, and number of doors of the refrigerator. 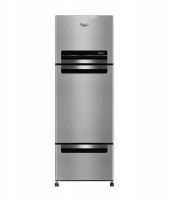 Some of the popular models are single door, double door, double side doors, upper freezer and bottom freezer refrigerators. 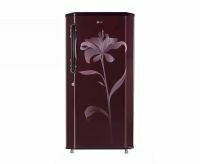 The capacity of the refrigerators, ranges from 50 litres to 200 litres in the single door models. Depending on the make, the colour scheme and designs also vary. Single door refrigerators are comparatively cheaper than other models. The storage capacity is also less in the small single door refrigerators. With small and compact spaces to store vegetables and foods, it is suitable for small families with 2-3 members. The double door refrigerators are larger in size and have different compartments for freezing and refrigerating. With different doors, the cooling temperature is maintained even if you open the door a number of times. It is suitable for larger families with 4-5 members. 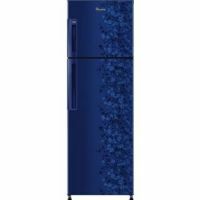 If you are looking for larger refrigerators with a capacity of 800 litres or more, then you should look for the side by side refrigerators. It looks similar to a cupboard and features two doors with larger compartments to store the items. 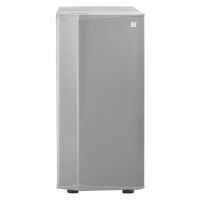 Even the storage capacity of the freezer and refrigerator is larger in such models. It can be used for professional use like shops, restaurants, hotels, etc., including large families with 7-8 members. The upper or bottom freezing refrigerators are the latest styles which are receiving a positive response from many users. In the upper or bottom freezing models, a separate freezing compartment is provided to store all your cold storage foods. 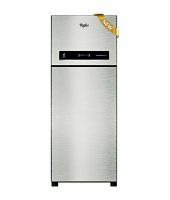 The cooling capacity of such models is also higher compared to other refrigerator models. The energy consumption of such models is moderate and the upper compartment has large storage space for refrigeration. The look and design of such models is unique and modish. Almost all refrigerators have the cooling, defrosting, digital cool or frost free facilities. 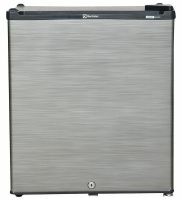 Finding a good refrigerator is easy, but finding a qualitative refrigerator in a reasonable rate is important. We, at Dealscorner, strive to provide you good quality products in a lowest price range available in India. We help you to compare the quality products offered by various stores and brands on a single platform. Instead of visiting different stores and getting confused with the varying price range, you can find all major stores and brands on DealsCorner. We have many well-known brands like LG, Samsung, Videocon, Whirlpool, Haier, Godrej, Kelvinator, Hitachi and many more. The products available on dealscorner from various stores and brands are new, genuine and qualitative. At DealsCorner, you have the facility to compare the product of your interest with other products offered by the famous stores and brands. Use the Discount or Brand filtering option to run a targeted search.